They come from of nowhere: the lost and hungry, the forgotten and homeless. They appear on street corners, holding signs, asking for a hand out, begging for change. Others are drawn to churches, pleading for assistance with a utility bill or back rent. They have little, but their need seems great. Small change given from the cup holder of your car will not be enough to help. As Jesus walked the wilderness of Galilee, crowds followed bringing their sick. They came and fell at his feet, all who were in need, and Jesus healed them. Jesus showed love and mercy; he had compassion upon them, then he promised the impossible. In that desolate place, Jesus declared to his disciples all should be fed. Impossible! Yet, once the resources were identified and surrendered to Jesus, there was more than enough. The creator of all blessed that which was presented to him, so that all would be satisfied. The same holds true for the church. God blesses us with loaves and fishes sufficient enough for us to care for those in need. 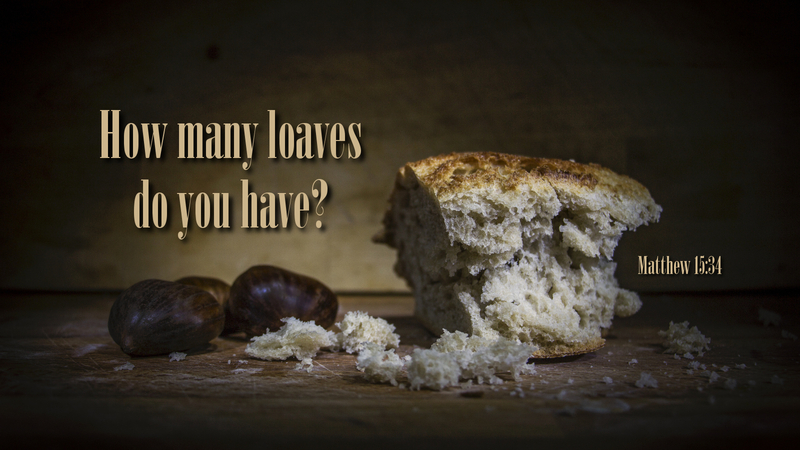 Faithfully identifying the loaves and offering them generously is a disciple’s joy. For in his compassion, God will satisfy all. Prayer: Give us generous hearts, O God, that we may gladly share that which you provide. Amen.